In order to fulfill one of the main objectives of promoting education in the light of Sri Aurobindo’s vision of man & society, the Institute of Human Study established Sri Aurobindo International School in 1967 at Hyderabad. Inspired by their vision of Integral Education, the school firmly believes that human personality consists of interdependent components, each being equally important requiring equal attention and can only be developed through a fivefold education viz. Physical, Vital, Mental, Psychic and Spiritual. Keeping in view our vision and values of education the school sought affiliation to the ICSE Board. Thus, to lay a strong foundation for holistic and child centric education, we established Sri Aurobindo International School – Pre Primary (Formerly, New Creation School) for Kindergarten children in 1993 which first cleared the ICSE examination in 2005. 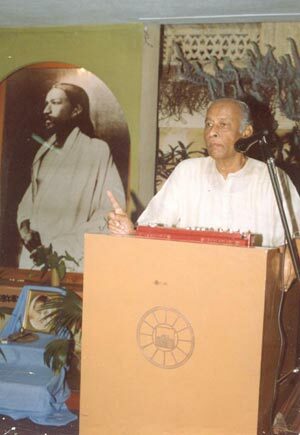 Eminent scholar in ancient Indian thought and the philosophy of Sri Aurobindo, Prof.V.Madhusudhan Reddy distinguished himself by a life of complete dedication to the vision of Sri Aurobindo. An exceptionally gifted intellectual and an idealist, he founded and steered many institutions. He published more than 200 research papers on literature, spirituality, education and philosophy. He had a natural gift of wit and humor and was marked by a spirit of complete dedication and humility. For him, philosophy was not just an intellectual proposition but an approach to the Divine. The Institute of Human Study, under the complete guidance of Prof. Madhusudhan Reddy, has initiated and sponsored Sri Aurobindo International School in 1965. The school was initially started at Osmania University Campus with 40 students. Later it was shifted to the present location.